Home ♦ Featured ♦ Did They Destroy Ferrari’s for LeMans? Did They Destroy Ferrari’s for LeMans? I watching LeMans the other day and was blown away by the beautiful cars from 1971. Then the carnage started. This Ferrari 512s is flying in the wet and comes across another wreck sending the Ferrari off course and over an embankment. It looks like a real 512 but maybe they made a movie car just to crash? 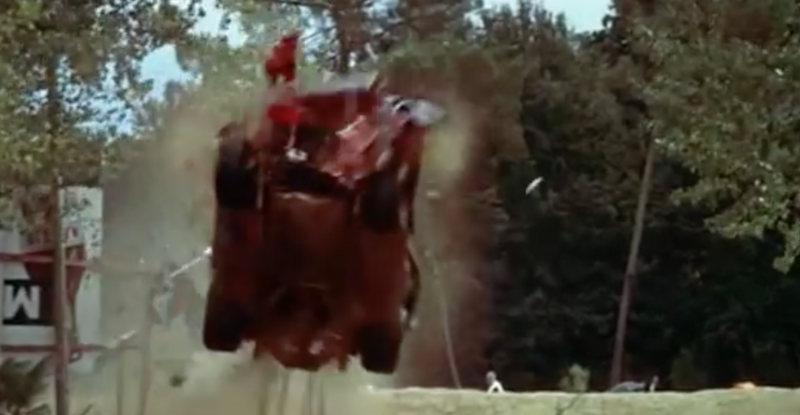 But in this next shot it looks a Ferrari and the movie business wasn’t too good at special effects in the early 70’s. So what ever happened to this car? Was it totaled? Did someone rebuild it? The chassis tag along is worth a fortune. ← Previous Post: VW Golf GTI TCR – Let the Touring Car Wars Begin!